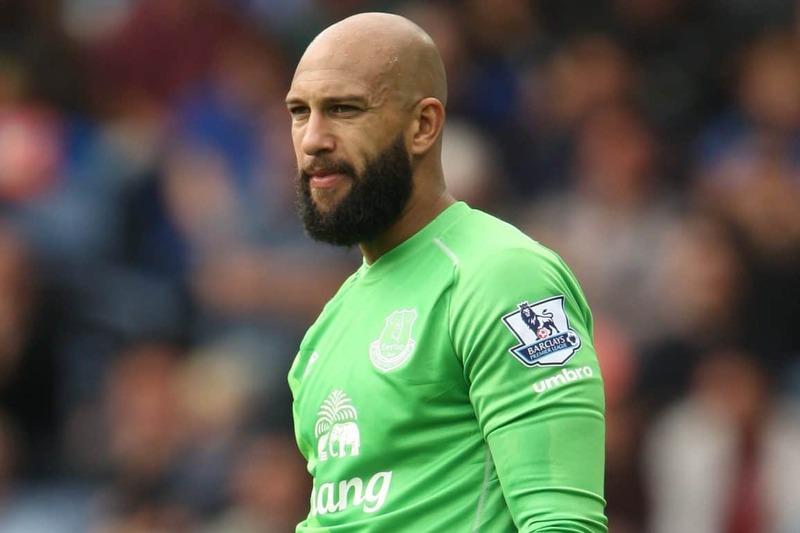 A resolute defensive display combined with a MOTM performance from Tim Howard earns Everton a good point at Man City. After resting most of the starting eleven at the weekend, John Stones took over at right back for the injured Seamus Coleman and Leon Osman came in for also-injured Tom Cleverley. Muhamed Besic managed to keep his place (and rightfully so), and otherwise it was a largely straightforward side for Roberto Martinez to head to the Etihad Stadium in the midweek. City started with Silva on the bench, but save injuries it was a pretty typical side from Pellegrini. The game started off fairly evenly matched for the first twenty minutes, as City found a well organized defense from Everton for the second time in a week. City’s best chance came from a corner, as Yaya Toure powered a header into the ground that Tim Howard had to save smartly down to his right. Once Everton got into the first half, Gareth Barry, Besic, and Osman stood out, which worked well considering the reemergence of Leighton Baines. Baines has worked his way back into the side, and had provided width and linkup play on the left that has been sorely missing this season. The width of the team provided occasionally incisive football, and after Joe Hart saved a Deulofeu shot from a tight angle, Everton were flowing. Lukaku was freed down the right side of the penalty area, and crossed to the far left side of the box for Osman to volley within inches of the far post. Osman seems to be quite good at nearly scoring excellent volleys, the FA Cup quarter final replay against Sunderland in 2012 springing to mind. Alas, the first half passed with the score still goalless. Probably the most notable incident came five or six minutes into the second half. John Stones took a knock from Sterling, and his remaining in the game forced Besic to take a yellow card for fouling Aguero. A couple minutes later, Aguero shot straight at Howard from a corner, but any slight change in direction probably would have resulted in a goal for City. Howard was called into action a few times in the middle of the second half, as he saved smartly from Kevin De Bruyne, Raheem Sterling, and Aguero again, the Argentine’s from a close range one on one. Everton’s attacking play left much to be desired, as Lukaku’s injury in the semifinal perhaps caught up with him and he managed to lose some of the hold up play that was needed with against a team that attacks as well as the Citizens. Kone and Pienaar came into the game for both wingers, which in some ways further nullified the Everton attack. A couple half chances for Everton came around to end the game on the attacking front, but much will be made of the way they ended it defensively. as John Stones fouled Sterling on the edge of the box, but Roger East didn’t seem to think it was a penalty. Swings and roundabouts, I suppose. Either way, a pragmatic second half earned a decent point against City, who still may end up champions after all. On to Stamford Bridge.